Need help creating a recipe for success for your kitchen remodel? Give us a visit at ProSource® of Bloomington. 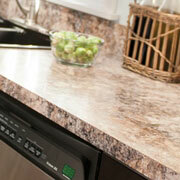 We are proud to provide the resources needed to make a kitchen renovation a smooth and fun process. Create a functional and attractive kitchen space when you work with the design experts at ProSource. Nothing ruins the appearance of a kitchen quite like clutter. Design a kitchen where there is space for everything to be tucked away, out of sight, when you upgrade the kitchen cabinets. 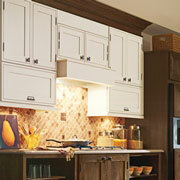 We carry a variety of materials and styles, as well as kitchen cabinets that provide easy organization. 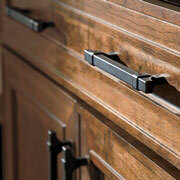 Once you have chosen new cabinets, it is time to focus on the details that will pull the design together. We can help you pick out the right cabinet hardware—from knobs to pulls to handles--to not only provide functionality but also to enhance the design of the room. For busy families, a durable countertop is key. For someone who wants to create a luxury remodel, a marble countertop might be the right pick. We can give you details on each countertop material we carry including granite, quartz, marble, and mixed materials to help you choose the ideal fit for your needs. Do you want a classic stainless steel sink or are you looking for a unique material, such as a granite composite sink? 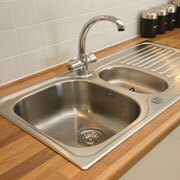 No matter what your taste, we can find a kitchen sink that matches both the desired style and budget. From simple kitchen faucets with stainless steel handles to upgrades, such as dedicated hot water taps, we can help you pair the right faucets with the chosen sink. 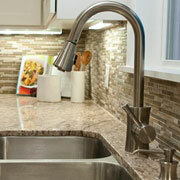 Talk to us about the top-quality brands of kitchen faucets we offer.